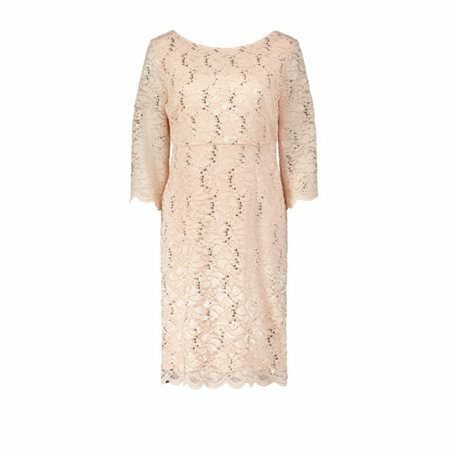 Peach is a perfect colour for the warmer season and this stunning lace dress by Vera Mont has been beautifully tailored into a fitted finish to celebrate your silhouette. The dress has been designed using a soft lace overlay that has been embellished with bronze sequins that sits over a slip style underdress. The dress has a deep rounded neckline and plunges at the back for a glamourous look.